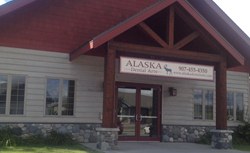 While there are a lot of different dental options in and around Anchorage, Fairbanks, Juneau or Wasilla Alaska, there are only a few worth your consideration. In just a few minutes time you will discover for yourself why there are only a few dentists worth your consideration. In this short authority piece of content, ADA will cover the most important things you need to know about choosing a dentist for you and or your family. Friendly Dentists and Staff - Let's face it going to a dentist is sometimes scary and can be a real turn off. At ADA, we pride ourselves on being friendly both on a staff level and dentist level. Being nice means you will be back and hopefully bring your family and friends. 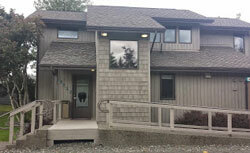 We take great pride in providing the best and highest level of service and care in all of Alaska. Painless Dentistry - We hear it all the time "I hate going to the dentist it hurts." At ADA, we make sure our patients receive the finest painless treatment possible. We understand what it means to be afraid and make every effort to eliminate the pain. When you visit one of our four offices your anxiety, stress and fear melt away. Dental Services Provided by ADA - ADA provides the dental services that are in demand. By concentrating on what our patients want and need we can provide them with only what is needed when it comes to dental work. Some dental offices want to "up-sell" patients on things that aren't needed. We don't believe in that and feel that our obligation is to serve our patients and not try and sell them treatments that aren't needed. Cosmetic Dentistry - If you are looking to enhance your smile then cosmetic dentistry may be the answer. If you have a small problem or even a large problem when it comes to your appearance and smile cosmetic dentistry is the one solution that can transform your smile. Cosmetic dentistry can include the following solutions: whiten teeth, fix irregular teeth, repair broken or chipped teeth, replace missing teeth, make minor changes to crooked teeth and also close gaps or spaces between teeth. 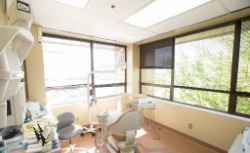 Four Offices to serve your Needs - ADA is one of the few dental practices in Alaska that offers our patients four separate offices in four cities. By providing services in Anchorage, Fairbanks, Juneau and Wasilla we able to offer convenience and standard practices all four of the offices to serve better our patients just like you! General and Family Dentistry Often is the Same - Often used interchangeably General and Family dentistry is the overall treatment of providing all of a patients' needs and goals when it comes to dentistry. That part of a practice that focuses on restoring and maintaining overall oral health is what is commonly referred to as general or family dentistry. Those services include repairing existing damage, preventing decay and restoring when needed the function and overall appearance of a patient's smile. State of the Art Dental Technology - At ADA, our comprehensive training includes using the latest state of the art technology that adds another level of diagnosis and treatment not found in most Alaska dentist offices. As an example, the offices use Digital X-Rays, which is a revolutionary imaging system that helps our dentists understand and diagnose your smile on a deeper level. Featured Services offered at ADA - Some of our featured services (many not found in other Alaska offices) include the following dental treatments: Bonding, Dental Implants, Teeth Whitening, Veneers, Bridges, Dental Cleanings, Dental Crowns, Dental Emergencies, Dental Fillings, Dentures, Mouth and Night Guards, Root Canals, Sealants and Tooth Extractions just to name a few. Why our Patients Love Us and Why you will as Well - Alaska has a diverse group of people who live in and around the cities we serve. Satisfying such a diverse population with many cultural differences is not easy. That is why we try and accommodate our patients by understanding their demographic and economic background and make accommodations when possible. We understand that each individual is unique and has different issues, so our primary focus is to adapt to the diversity of the people who call Alaska home. If you have special needs, please make us aware of those and together we can find a solution.